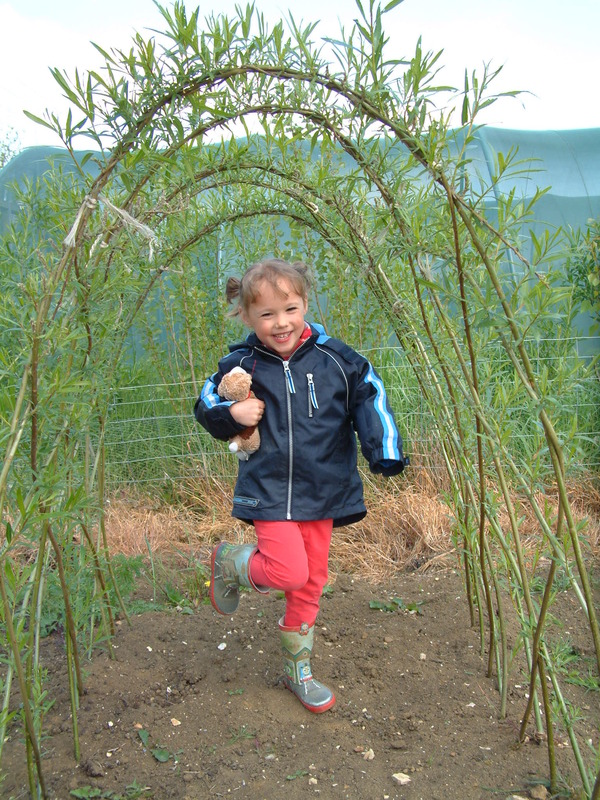 Please visit our ‘Living Willow Tunnel Gallery’ to see more photographs of living willow tunnels of different sizes and styles. we offer and see our FAQ’s page for further information and advice. 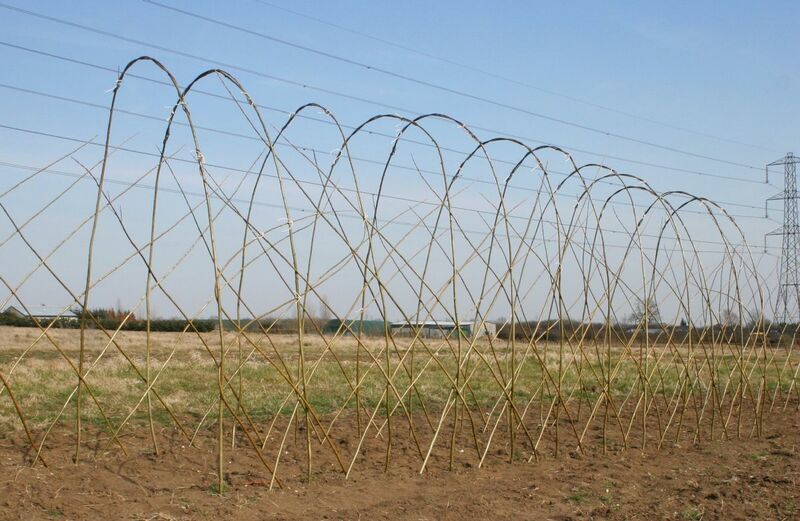 (45 cm) apart and then planting 2 shorter willow whips as diagonals in between each to arch to hold the structure together. Planting these whips diagonally is important to encourage denser side growth. If you weave the diagonal whips ‘in front of one vertical and behind the next’, this makes the structure more rigid . For a more dense initial structure you can add extra diagonals – but remember that you will be weaving in the new growth and that makes the structure more dense over time anyway. Where the diagonals stick out beyond the ends of the tunnel, simply bend them back around the end whips and weave them back into the criss-cross pattern. You can work out your own design of tunnel and order the number of whips you need, or you can buy one of our tunnel kits which follow the above approach. The upper photograph shows a standard tunnel kit (with fedges attached) as just planted – the lower photograph shows a mini tunnel kit (ideal for pre-schoolers or for adding to a standard dome kit to create a living willow igloo). New growth will start to sprout in March/April and can be woven into the structure, as soon as it is long enough, to give more strength and shape – this is actually the fun part of having a ‘living’ structure.